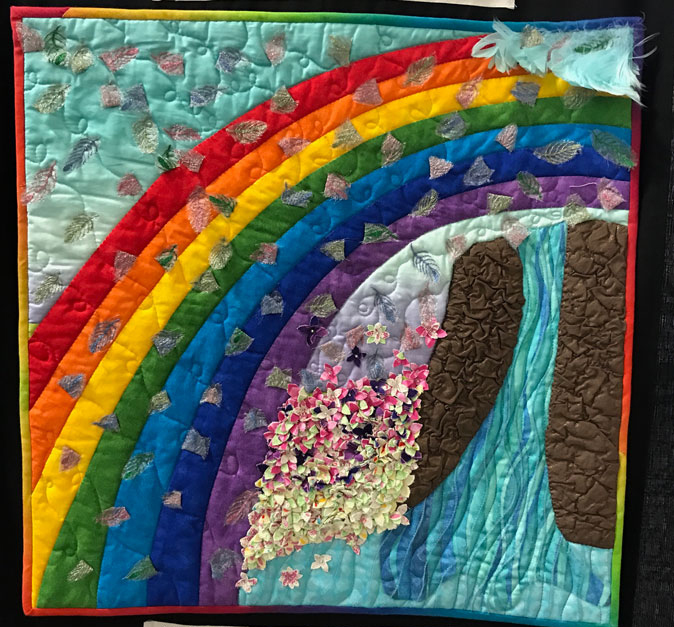 All ninety quilts from the International Fairytale Challenge were exhibited at the recent Clark County Quilters Show. 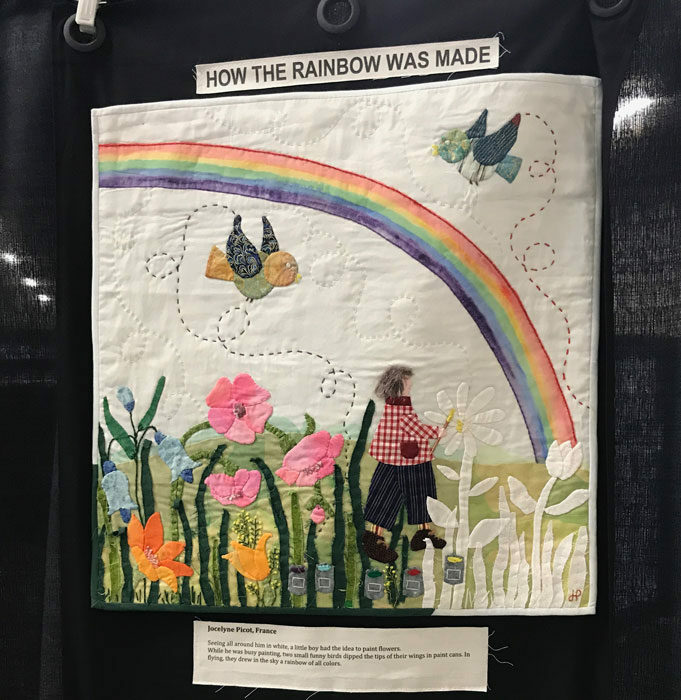 This is the first international challenge I participated in, and after three years the quilts arrived at their final venue, which just happened to be the first show I judged this year. It was so interesting to see how the French and Japanese quilters interpreted the thirty fairy and folk tales. 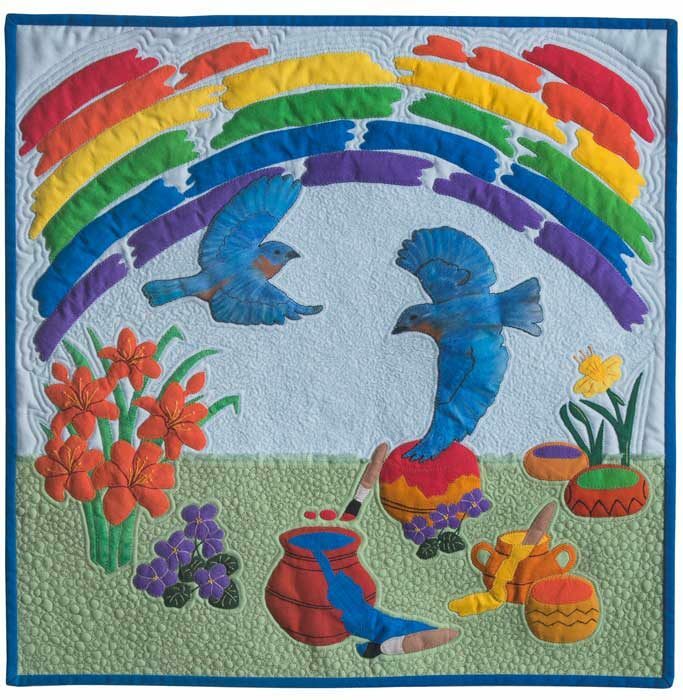 The folk tale I chose was “How the Rainbow Was Made.” It’s an Ojibwe nation creation tale. As I’ve explained previously, in the tale a being named Nanabozho sees the flowers in the field are all white, so he takes out his paint pots and begins painting them. Two birds come along and see what he is doing. As they fly back and forth, they dip their wings into the pots and paint a rainbow in the sky. In my quilt, I show the rainbow in progress. Here’s the quilt from France.